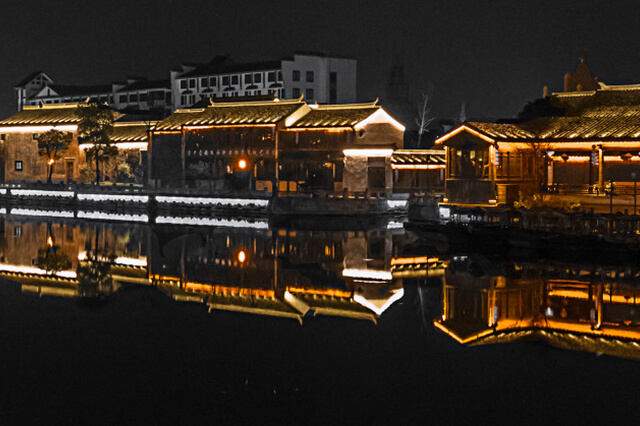 Dangkou Ancient Town is located in Wuxi city, Jiangsu Province, and is adjacent to Suzhou. 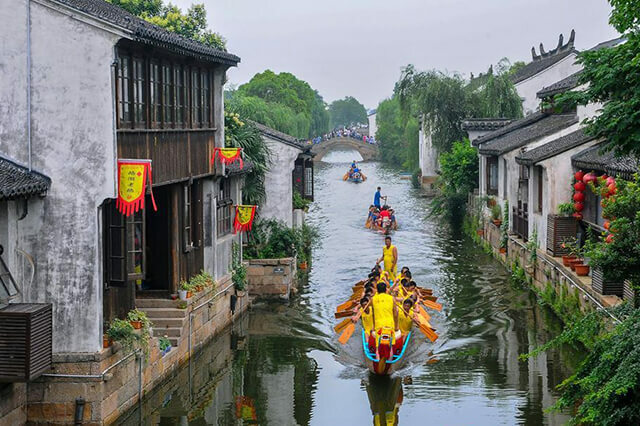 As a state-list famous historical and cultural city and the national AAAA level tourist attraction, it was rated as the historical and cultural town of China in 2010 and enjoys the reputation of “Little Suzhou”. 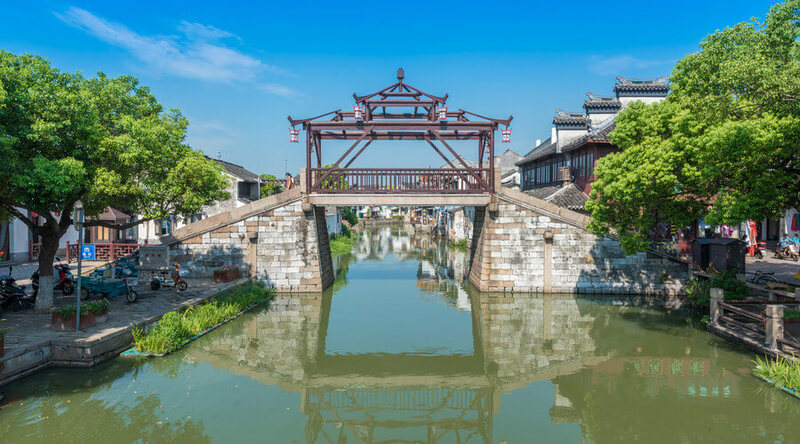 It is a typical southern Chinese riverside town, with many historical architecture relics, crisscrossed waterway, various lakes and rivers, small bridges over the flowing stream, and elegant environment. 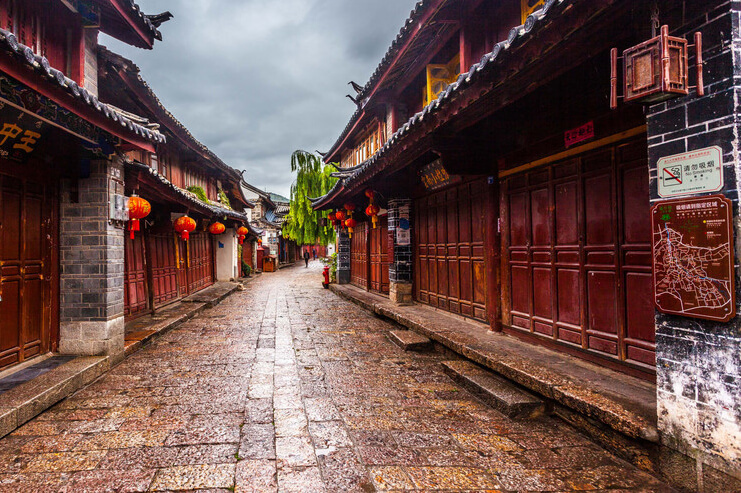 Ancient architectures with white wall and black tiles aside the street and sinuous waterway set each other off perfectly, under the eaves hanging a string of red lanterns, it forms quite an ancient flavor. In addition, there is also idyllic view for leisure, vacation, tour, and recreation. Filial piety is the traditional virtue of the Chinese nation. And the wind of filial piety prevails in Dangkou where is full of nature bestows and many well-known people. The local people pay close attention to traditional Confucianism culture, in which humility is especially common. It was named Dingshe in ancient times and said to be the hometown of Ding Lan-a dutiful son in East Han Dynasty. Dangkou Ancient Town not only has distinctive folk customs, but also a large number of folk foods. You can taste all kinds of authentic Wuxi flavor, water-gold tofu pudding, Jinjia baked pastry, medicated flaky pastry, crab-yellow steamed bun and other snacks. When you feel tired, you can sit down at a tea house near the river, and enjoy the scenery while drinking tea. How comfortable it is!